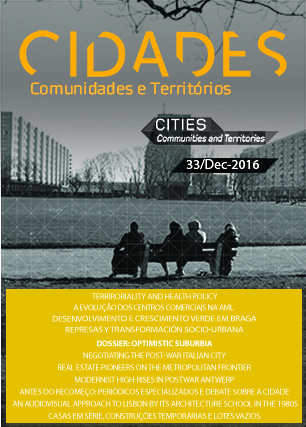 The goal fo this article is to discursively deconstruct the city of Braga. By analyzing political communication and advertising, it aims to show the analytical potential of concepts proposed by Ernesto Laclau and Chatal Mouffe to understand how certain discourses become hegemonic, shaping the meaning of the city and the identity of subjects. Laclau and Mouffe view meanings as something that his never completely defined but only partly fixed by nodal points constituted through practices of articulation. “Development” and “green growth” were two key nodal points that fixed the meaning of social relations in Braga in different historic moments. “Nature” and “green” emerged in a variety of discursive contexts to support both the city council’s project and business interests. As these signifiers became increasingly eroded, they turned into empty signifiers allowing for all sorts of discursive uses in constructing and reinforcing the hegemonic position of local powers. Simultaneously, the subject positions and identities of citizens were also reconstructed through those discourses.